"We are the abandoned children of garage": Logan Sama on the marginalisation facing grime and dancehall - FACT Magazine: Music News, New Music. 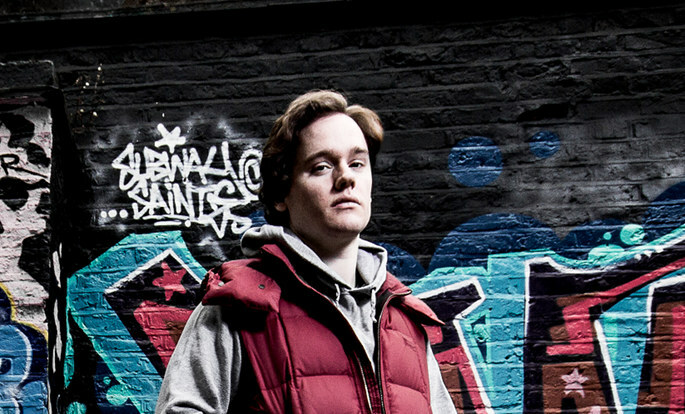 Logan Sama has represented for grime relentlessly since its incarnation at the start of the 21st century. 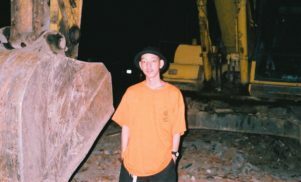 Sama rose to prominence through pioneering then-pirate radio station Rinse FM, before moving on to hold the only grime DJ position on commercial radio (via Kiss FM) for almost 10 years. 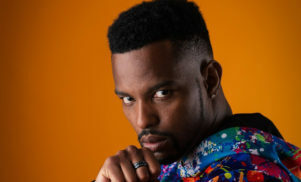 Despite the show’s popularity, Logan stepped away from his position on Kiss FM earlier this year citing changes in the station’s schedule and preferring to focus on building his own avenue Keepin It Grimy. Logan’s move drew comparisons to David Rodigan, who left the same station last year due to the marginalisation of reggae music on mainstream radio. There are numerous similarities between grime and bashment, from their sound system influence and DIY nature to the negative perceptions from certain sections of society and mainstream, so I spoke to Sama about how the two genres compare. We talked about the importance of live MCs, cutting dubs, marginalisation, the effect of the digital era and more. Your final Kiss FM show had loads of MC’s, energy, reloads etc. I wanted to try and make something that really captured what I enjoy most about grime which is the live element. When I did my last show on Rinse FM before I moved over to Kiss, I basically did the same thing where all the MCs that were allowed on the station came through. You can see that on YouTube. A lot of the faces that were there were at my last Kiss show as well so it was a nice full circle almost. There were a number of other MC’s that we invited that couldn’t make it down. I think there was meant to be another 15 or so MC’s. Some were out of the country, some were busy with other commitments and some just didn’t show up. We had a really good spectrum of artists that came down and supported. I really enjoyed it. MC’s are seen as the focal point of grime and sets, what is it about live sets that you as a DJ love the most about grime? I love all the hype and energy of grime music. That’s what I liked about it in the first place. Doing the live sets with MCs – be it a club or radio set – I enjoy that you get the spontaneous energy and spark of creativity of hearing an artist on a certain riddim that you may not have heard before. Those things create memories that last for a very long time. As much as a music video might do or a single release might do, you also have these moments in sets that do transcend what they are, and they just become bigger. DJ & MC sets mainly stem from Jamaican sound system culture and Jamaican immigrants in England toasting over records from the ’50s/’60s onwards. As well as being good for selectors and the audience, it was a great learning tool for the deejays [Jamaican equivalent to MC’s] because it allowed them to hone their craft on the system and receive direct feedback from the audience. Is that another reason why it’s important to have that element in grime? I think you can definitely see a difference in the MCs that are pretty much studio MCs and the MCs that have done a lot of live performances. You can definitely see it. If you do anything for a period of time and you’ve got the right brain in your head you just become good at it. You just improve. Certain guys just grasp that concept of live energy in grime and do some amazing stuff. Obviously, you get a lot of [culture] crossover. You can talk a lot about the crossover of dancehall and reggae sound system culture, second and third generation families in London and how it’s spread to the diaspora of urban London, Birmingham and other major cities. The influence of sound system culture in general across the UK in the last 30 years has been tremendous. You had a sound clash with Big Mikee from Birmingham earlier this year. When and why did you begin cutting dubs? It was just a progression. I started off playing garage and I would hear big DJ’s have tunes, mainly instrumental tracks, with their name in the intro. That was an established thing. 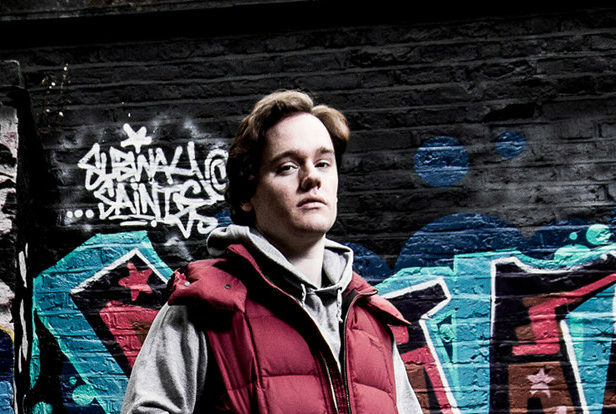 When I started working with more artists, people offered dubs and it just became a thing that people would offer to do – ‘Big up Logan Sama’ then go into the tune. More like an intro special than a full dubplate. Being around as many artists as I was in like 2001/2002, I started to experience more and more of their culture as well. When you’re around people like Wiley, Flowdan and Footsie, who’ve got such firm roots in sound system culture through their parents, you start to discover a lot more things, then you go off and do more research. When these guys are talking about clashes, artists and what have you, I’d go out and research them. I think in 2002/03 time, I really started to pay attention to dancehall a lot because you had a lot of crossover in terms of the riddims tracks. There were a lot of 70 bpm half time tracks being made or just tracks within that framework. LS: Well, that’s always been in garage as well. It’s sort of like a soca beat as well. But when you had stuff like ‘Summer Bounce’ and ‘Chrome Riddim’, I can mix those into grime. Then a lot of the stuff that was coming out of the Big Ship studios, like ‘Dark Again Riddim’, that’s very close to being grime. You had a lot of music that was comparable. I was already cutting specials. I was listening to things like World Cup Clash and Death Before Dishonour. I would hear the ingenious ways that people would rewrite tracks. The insults they would come out with and what have you. It’s just a fun thing to do. It pops into your head, “Oh, I could make the MC say this,” and I done it. I actually got some pieces voiced by Kartel in about 2004 so I got some dubplates from him. Do you get many opportunities to play your dubs out? You played a lot on your Boiler Room set. It depends on the audience. You have to have an audience there that is listening to point of which they will be able to determine if your dub is good or not. A lot of times I can play a dubplate of a big track and it’ll throw the audience off, because they’re used to hearing the normal version so it might lessen the response. If I’ve got a knowledgeable crowd or I’m doing something that might be filmed and archived for later, and people can go back to listen through in detail, then yeah, I’ll throw stuff in there. It just stamps that little extra on the set. I don’t play a full set of dubs, but it’s nice to throw one and two. I’ve got a few oneaways [exclusives], like freestyles with my name in and stuff, as well as special versions of existing tracks that everyone knows. One of your dubs on that soundclash was Breakage & Newham Generals, ‘Hard’, with an intro from David Rodigan. He left Kiss FM last year, citing the marginalisation of reggae by the station after his show was moved around different time slots. You left Kiss FM for similar reasons after your show was cut from two hours to one hour then you were offered a slot on the digital-only Kiss Fresh. Many within reggae and dancehall feel it hasn’t been treated correctly by mainstream, do you feel the same about grime? Erm, the thing is, it’s a multifaceted problem. In general, commercial radio is difficult for specialist music. It’s difficult for people who run commercial radio because there’s always pressure to hit targets, hit numbers, get ad revenue in, squeeze as much profit as possible and keep costs as low as possible, so it all becomes a numbers game. Unfortunately, the way the radio numbers are done, it appeals to the lowest common denominator as such. Specialist music appealing to a niche audience is something that isn’t really cost effective to the company. Many stations probably would [top 40] playlist their entire broadcasting schedule if they were able to, but obviously, because of the licenses that they hold they have to provide a certain amount of specialist content of a certain type. It’s in their remit. The issue with grime is it has never really had that sort of infrastructure to carry it further. We always did it ourselves. We had untold numbers of pirate stations across the whole UK, not just London. There’s many stations in Birmingham, Manchester and other places. The rise of OFCOM, and the rise in which stations were taken down and driven out of business except for a handful that have then gone on to become community stations. Without venues it’s quite difficult. Without platforms it’s very difficult, so we lost a lot of the pirate stations to DTI and on top of that it was incredibly hard to do live events as well. Grime thrives on the live element, it makes it a big problem. Would you say that’s what has kinda stopped it from progressing how many anticipated? LS: People get out of the habit of consuming it because it’s not there for them to readily get. When it comes to music – and just generally everything in life – people are happy to consume what’s put in front of them. Grime isn’t something that’s put in front of many people because there aren’t any dedicated grime shows on mainstream radio, nothing on mainstream TV covering the culture, very little in the way of live events. There’s quarterlies, Eskimo Dance two or three times a year, but there aren’t as many dedicated events as there are for dubstep or house or drum ‘n’ bass. That’s also similar to dancehall. There’s a lack of concerts, mainstream radio and TV coverage. Both still have strong presence on pirate radio, but labels aren’t interested. There’s also the perception that the artists are unreliable and have violent lyrics, which you must be familiar with. Yeah, and UK hip hop and anything else that represents a predominantly black, lower class population of Great Britain. First thing I’d say with unreliable artists, you get unreliable artists in every genre of music. What you have in other genres of music are people that are able to handle them – managers, experienced A&Rs at record labels. And that all added to the appeal. Yeah, exactly or Tempa T, ‘Next Hype’ it suddenly becomes a big problem. Now I’m not going to say that the risk of violent escalation is the same with middle class students from Oxfordshire and middle of nowhere in England, but the amount of fear, ridiculous exaggeration and ignorance about the audience that listens to this music is inexcusable. We have problems with the police and form 696 – which is still pretty much unconstitutional – and investment is always difficult as with anything that’s generally focused on the working classes. Youth centres were a huge part of bringing through new talent who couldn’t get on pirate radio, they could go to their local youth centre where there would be a set of decks, a mixer, some speakers and a microphone. They could go down there and do their thing. There’s less and less of that for young people and grime’s definitely for the young people. It’s their voice, message and culture. It’s alright when it can be safely bottled up. JD Sports sell tracksuits and fitted caps so people can dress like boys off the estate and make millions. It’s done very well off that culture, but actually doing something with the voice of that culture hasn’t really happened. You’ve just got a disenfranchised mass of people doing whatever they want to do and that’s why grime is always exciting to me. That first Dizzee Rascal album was full of the thoughts, opinion, feelings and emotions of young people in London at the time and across Britain. The fact that there aren’t more opportunities for that is a shame. When vinyl sales plummeted around 2007, dancehall label VP/Greensleeves cut their advances for artist compilations and stopped putting out riddim compilations. Around the same sort of time, there was an influx of Americans doing pop versions of dancehall like NeYo, Rihanna, Sean Kingston etc. Due to this, we started seeing Jamaicans making music like them, aiming for mainstream American acceptance. Dancehall had a very specific revenue stream, and when you take that away like the digital age did – as the digitals took away our vinyl sales in grime music as well – you have to move to other things. But the other formats you move to are making data – recordings of music are nothing more than data – and you’re trying to sell data to people, it’s like… you probably have an unlimited data plan on your phone or gigs. You’re not paying per bit, megabit or kilobit you load up anymore. That’s what’s gonna happen with music, games and film. The more things we can do with the phones in our pockets that connect us to everyone else, the less you’re going to have the ownership of a copy a data. We need to look at other things. When you have something like grime and dancehall which can be difficult to monetise, it causes problems in the creative side because young people under 21 can do what they want, but when you start having responsibilities you have to pay your bills. If you want to pay your bills through music, you have to compromise what you’re making, change the sound and pursue other things. The digital era gives many possibilities, but if you’re in an industry that doesn’t have the infrastructure to take advantage, like hip hop does, then it becomes difficult. The economy becomes a lot more marginalised. If you look at American artists who are tremendously successful, you see how much money they’re spending online in their videos, Lamborghinis and huge houses for records that aren’t getting no daytime mainstream radio play. They’re making underground records that are YouTube phenomenons or club anthems, or whatever, but America is able to monetise that and make an industry around that because they’ve been doing it for the last 40 years. We don’t have that here and Jamaica doesn’t have that either. It’s not through a lack of not having the people to do it, it’s having the people that are educated enough to do it and the knowledge to set things up like that, because with grime – I can’t speak for dancehall – we are the abandoned children of garage. Garage had a useful economy. To a large degree the new generation of dancehall is the abandoned children of the ’90s and pre-digital generation of dancehall. Garage didn’t want anything to do with the underground garage MC’s. They were excluded and blacklisted, so you ended up with a lot of people that didn’t know how the business works because they were just left alone to their own devices. You can kind of equate it to the abandoned kids. If your dad’s not around, you’re not gonna know certain things like how to carry yourself or deal with certain situations because you haven’t been shown or educated. I feel like we’ve got all the talent in the world in the grime scene. There are hugely talented artists in dancehall as well, but there aren’t the people there with the knowledge to take that artistry and do all the other work, because when you’re expecting the creator, the artist, to do all the business side of it as well, obviously they’re gonna fall short because that’s not their skill set. Loads of scenes have risen and faded since grime’s incarnation. Why isn’t grime dead? Grime kinda runs parallel with Wiley. People say you can never kill Wiley. He’s been stabbed, through a number of clashes, been through everything but he’s still here and grime’s still here.